If your time with the military, serving the nation, is over, it’s time you looked for other career options. While, of course, it might not be as exciting to work a 9-5 job after having served in the military, there may be other options that provide a regular steady income, while being fun at the same time. A great career choice could be for a heavy equipment operator. At first sight, this might seem like a “heavy” thing to do, but with comprehensive heavy equipment operator training for veterans; it won’t be long before you become an expert. With development becoming centre stage in the nation’s economy; the rate of development of public and private infrastructure projects is happening at an unimaginable pace. That said, it’s obvious that construction sites require people who are experts at operating heavy equipment. Not just this, the roadways in America, spread over millions of miles, undergo normal maintenance after certain periods of time. And if you also consider the mines and ports in the country, you’ll realize how big the heavy equipment area is. You see where I’m going with this? 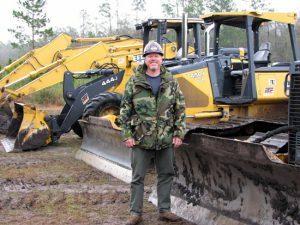 Being a veteran, you will have more advantages when you choose to undergo heavy equipment training. Military benefits come in a variety of packages. U.S. military veterans may qualify for one of the several programs, depending on when you served and in what branch of the military you served. If you are currently on active duty, you may still qualify for educational assistance from the VA. Student loans, private loans, vocational rehabilitation benefits – you can get them all. What’s more? There are special scholarship offers and easy repayment plans, should you choose to take an education loan for heavy equipment operator training for veterans. Post-911 GI Bill – If you entered the service after 911 and you qualify, then you can receive up to $22,805 for tuition assistance Non-College degree. At Heavy Equipment Operator School, our programs are approved by DANTES to be offered to service members and approved for the training of veterans to accept tuition benefits under the various GI Bill programs. If you would like to use your GI Bill VA benefits to become a heavy equipment operator, we have just what you’re looking for.